I very much enjoyed chatting with today's guest, Janet Allison about boys and how we can best support them as we raise them. Join us! In the last episode, we talked about the expectations of our children. In today's episode we will talk about parental expectations and how detrimental they can be to all aspects of parenting. 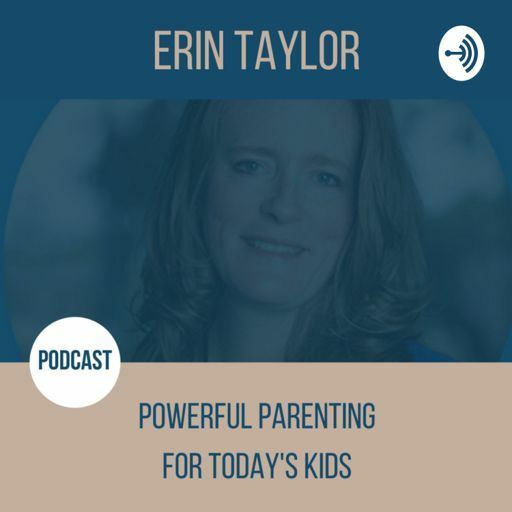 In today's episode, I talk about helping your children to have appropriate expectations and how beneficial that can be to them. In today's episode, I share a story from a mom I worked with who was frustrated by her kids always fighting. I share how I helped her to see it in a different light, which allowed to approach it very differently. Have you ever had one of those moments in life where you realize things are WAY off course and something must be changed? I had one of those turning points in my parenting, and in today's episode I share it with you. I have talked many times on my podcast about how a child's behavior is an iceberg. But today, I'm talking about how YOUR behavior is an iceberg...as well as every single person you come into contact with! In this episode, I answer a listener's question about how to talk to a young girl about puberty in a way that makes her feel comfortable. Is it possible? I say yes indeed! Tune in to find out how! In this episode, I read my blog from last week that was inspired by attending the funeral of a good man who died far too soon. In this episode, I share a story where my teenage son called me out recently on my behavior. I share this with you in the hopes that it gives you insight into your own behavior possibly. In this episode, I talk about how time can affect our parenting, and our entire outlook on life! Do you have enough? If not, you can! In this episode, I talk about a quote I read recently and it got me to thinking about how it applies to parenting. Take a listen and see what you think! As busy moms, it can be challenging to fit in all the things we need and want to fit in. In today's episode, I share an idea I gave to a mom who was struggling with this very issue. In this episode, I share the ONE gift that I give myself each year on my birthday. Perhaps you would like to give yourself this same gift? In this episode, I read the latest blog sharing ways you can connect with your teen. I have spoken to lots of parents of teens who are struggling with this issue and I wanted to share some ideas with you. In this episode, I share a powerful technique for beginning to address problems in your home and the steps you can take moving forward from there. In this episode, I share a simple comment I made to my daughter recently, and the profound impact it had on her. I hope you gain some great takeaways in this episode! In this episode, I read my latest blog about gratitude and how important it is to keep practicing it regularly. In this episode, I share with you a guided meditation that we use in our workshops to help attendees settle into the experience. Take a listen and see if it helps you, too! In this episode, I wanted to check in on you to see how the back-to-school routine is going for you and your children. In this episode, I read my latest blog about teaching mindfulness to our children. The last episode was getting too long, so I had to cut it into two parts. Here is part 2 of my rant on punishments. In this episode, I really had to express my thoughts on punishment after reading a very disturbing article this week. Take a listen to this episode and see what you think. In this episode I share a song I came across by Marconi Union that is supposed to reduce anxiety by 65%. Take a listen and see what you think! I have been talking a lot lately about getting our kids ready for going back to school, but what does back-to-school mean for us parents? How many times have you tried a sticker chart or a reward chart and it started out great, only to fizzle in a few days or weeks? Join me as I explain WHY that is and WHAT you can do about it. Do you long for something that just isn't happening? You may be missing one critical piece. In this episode, I share with you what that is, and you may be surprised to know that it's not actually that complicated! In this episode, I read my blog from last week. I was inspired to write this after I took my 13-year-old daughter to see it last week. In this episode, I read my latest blog for those of you who listen at the gym, on the way to work, while walking, etc. so you don't have to take the time to sit down and read. In today's episode, I read my blog from last week that was inspired by some challenges that P!nk had on her Australian tour trying to juggle being a mom and a performer. In this episode, I answer a listeners question about how to stop yelling at her kids. If this resonates with you, I hope you find some ideas in this episode! In this episode, I wanted to check in with you to see how things are going with you and mindfulness now that summer is well underway. In this episode I read my latest blog about gratitude and how powerful it can be as a tool to help us out of a challenging situation. In this episode, I update you on our son's first two weeks of driving and share how we allowed him to fly home by himself. It is astonishing to me how quickly he is growing up now that he has turned 16. In this episode, I talk about my month of very heavy travel and what that has meant for my self-care routine. Also, how we can get back on track when we return home. When you are an active family, it can be really easy for Mom and Dad to drift apart. But that helps no one. In this episode, I talk about how to avoid being ships passing in the night. In this episode, I read my latest blog for those of you who like to listen on the go rather than sit down to read. Do you ever tell your child they have five more minutes to play on their video game and come back five minutes later only to find that they have not gotten off the game? In this episode, I read my latest blog from last week, inspired by the view outside my hotel room window in Phoenix, AZ last week. In this episode, I review another one of my favorite apps, Calm. They also have a website, so you can access it on your computer as well as your phone, and you can check them out here - https://www.calm.com/. In this episode, I read my latest blog helping parents to make this summer a success with their children. In this episode, I read to you one of my favorite poems and one that resonates so much with me as a parent. After, I talk about its meaning. I hope you enjoy this poem as much as I do! In this episode, I review another one of my favorite meditation apps, Insight Timer. You can check out their app here - https://insighttimer.com/. In this episode, I share some ideas and insights about how you can make this a successful summer with your kiddos! I recorded this episode at the beach with my family. I explain why the beach is my happy and what negative ions have to do with it. Enjoy! In this episode, I share some fun interactions we have had recently outside and talk about the benefits to being out in nature. In this episode, I talk about committing to something and doing it even when we don't feel like it. This is necessary in parenting, and in life. In this episode, I answer a mom who wrote to me asking for help entertaining her daughter while she brushed her hair in the mornings. Listen in as I answer her and how my suggestion worked for her! In this episode, I share my final pillar of health. This one's a biggie and if you haven't listened to the prior three parts, go check them out as well! In this episode, I share my 3rd pillar of health in the hopes that it gives you some ideas and inspiration! I continue this 4 part series by sharing my second pillar of health. I hope this helps you! This episode was inspired by a women's retreat called Rise Gathering that I spoke at this weekend. I hope you find some useful nuggets in here! In this episode, I explain how you can be both the participant and the observer of your life. When we do this, we allow ourselves the space to respond instead of react. In this episode, I share a story about how a word helped me to navigate a frustrating situation with my son in a very smooth, productive manner. I hope it helps you as much as it helped me! I wanted to offer thoughts on this Mother’s Day to each of you listening. Whether you are a mom, have a mom or anything else. I hope my words here bring you comfort, joy and gratitude today. A conversation I had with a mom yesterday inspired today's episode, where I talk about how important it is to reach out to our village when we are struggling. We are wired for connection and connect, we must! I recorded this episode on a walk in the woods behind my house, which is one way that I recharge my batteries. In this episode, I answer a mom's question about how she can find time for herself with two little ones. Today I share the power of a gratitude practice and all the benefits you can experience from it. At the end, I offer you a challenge. Join me, won't you?